The new beginners course (no previous knowledge or experience required) begins 10 February 2018 and runs for 12 consecutive Saturdays from 2:00 to 4:00 pm. A WARM WELCOME awaits all individuals and families who would like to join: —please feel free to come and sit in at the Saturday classes, and see for yourself — even if only to enjoy the splendid music! The new beginners course (no previous knowledge or experience required) begins Saturday 12 August 2017 and runs for 12 consecutive Saturdays from 2:00 to 4:00 pm. On Saturday 4 February at 2pm we will be meeting at the Malak Community Centre, Malak Crescent for all people interested in enjoying the fun of learning how to dance the reels and jigs of Scottish Country Dancing; the social form of Scotland’s National Dance. We are taking suggestions for the most convenient times and days for all to attend regular weekly sessions; explain the basics, and for those who have not experienced it before this is an opportunity to come and try Scottish Country Dancing for free on this day. You don’t have to be Scottish to enjoy it! Bring along friends, family and anyone else who may be interested. All ages from eleven upwards, and beginners are most welcome. Our next 12 week BEGINNERS COURSE for adults and teenagers is coming up! Courses are run at the Malak Community Centre on Malak Crescent. STAY YOUNG, FIT and SOCIABLE — TAKE UP S.C.D. Protect your HEART — excellent aerobic activity. Delay or prevent OSTEOPOROSIS — regular weightbearing activity for the bones. Keep ALZHEIMER’S DISEASE at bay — the brain is kept constantly challenged. Prolong a HAPPY LIFE — regular social interaction with good company. These courses assume NO prior knowledge, experience or ability whatsoever (ancestry is immaterial! 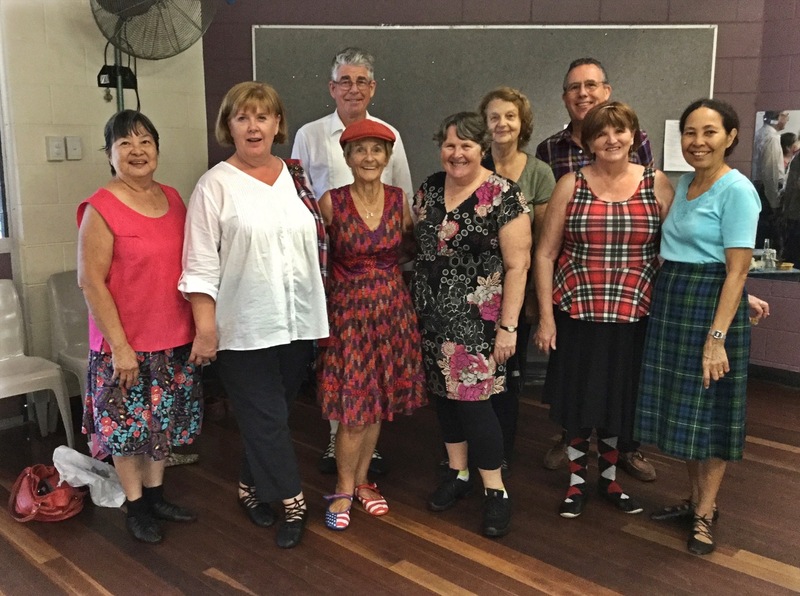 ), and are structured so that participants completing the course are then able to continue dancing with skill and pleasure at the Society's weekly sessions in the Malak Centre on Saturday afternoons, 2:00 to 4:00 pm. They are also able to join in with the thousands of other groups world-wide when travelling interstate or overseas. You can enrol by yourself, with a friend, as a couple or in a group; there is no requirement to bring a partner to join. 12 intensive lessons, starting completely from scratch, covering ALL the basics and more with internationally qualified teachers. Graded exercise to develop fitness and skills as required. Printed details of instructions for all techniques and dances covered. 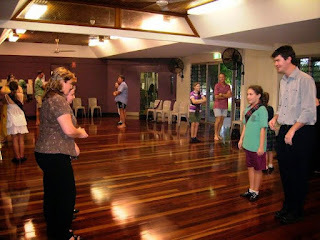 Specific instruction and practice in a graded set of 21 dances. Good fun, good company and good exercise. Regular attendance, punctuality and effort. The course is sequential and quite intensive; partial attendance is not likely to lead to either success or maintained interest. Obviously if you lose interest you are free to drop out, but we don't think you will. Lightweight very casual clothing, e.g T-shirt and shorts. To start, very light supple shoes or dancing pumps (no high heels). Heavy or clumsy footwear is not suitable. 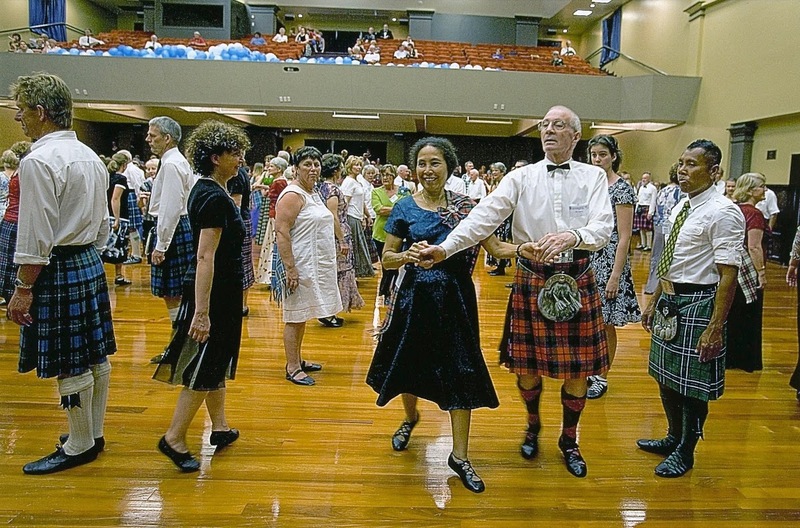 Correct Scottish Country Dance shoes can be purchased in Darwin (from Dance World, Darwin, 6 Charlton Place, Woolner; phone 8981 9398) as soon as you decide to continue. It is necessary to charge participants a nominal fee of $50 for the course to cover basic costs, but the maximum total fee for family enrolments is limited to $100 to encourage families to dance together, and for groups of 4 or more like-minded friends, half price! Early applications accompanied by a $10 non-returnable registration component of the fee will guarantee a place on the course, with the balance payable by or on the commencement of the course. phone Angus Henry on 8927 9203, or contact us.